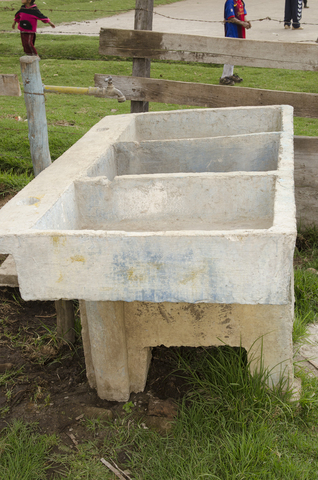 The Quejchip Health Clinic has concrete sidewalks to quickly get an emergency vehicle in and out when necessary and make the new hand washing station and latrines easier to access, especially during the wet season when this yard is prone to excess muddiness when wet. 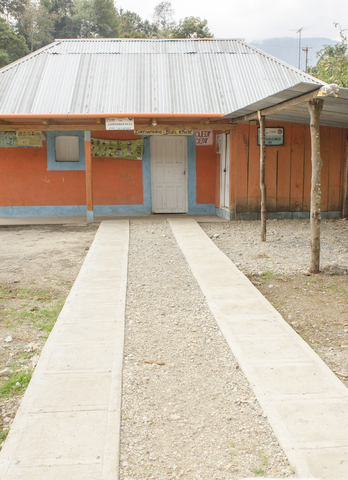 Next to the health center is a large playground and basketball courts for the students from the nearby school to use during their breaks during the day. 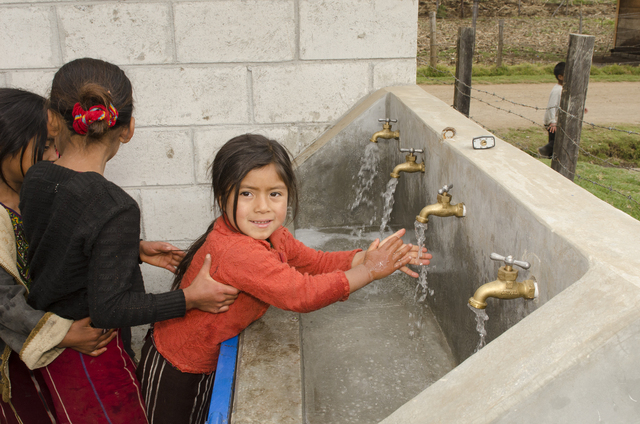 We were able to catch them in play and using the hand washing station while we were visiting. 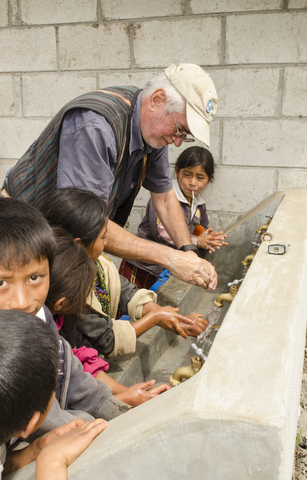 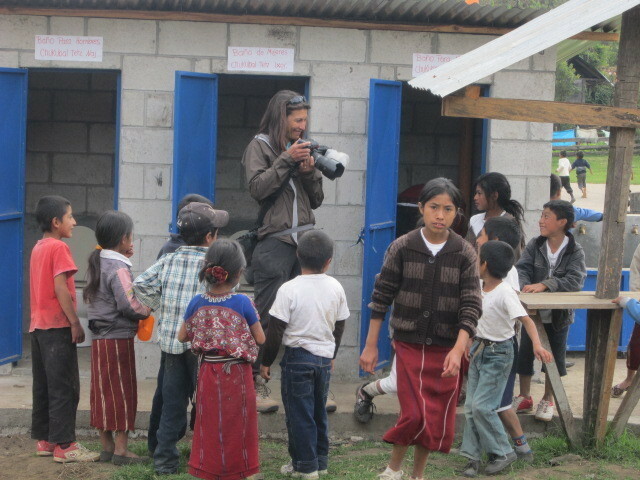 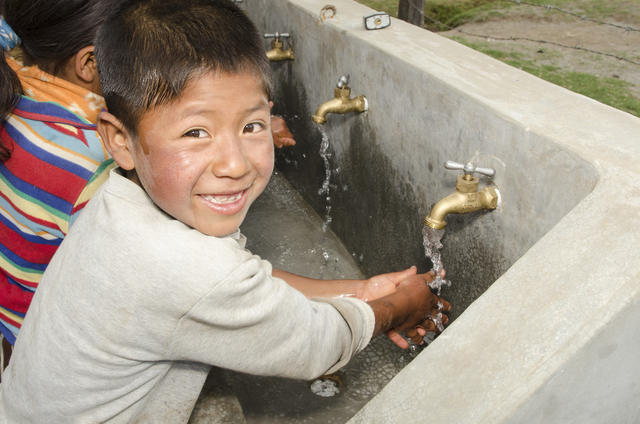 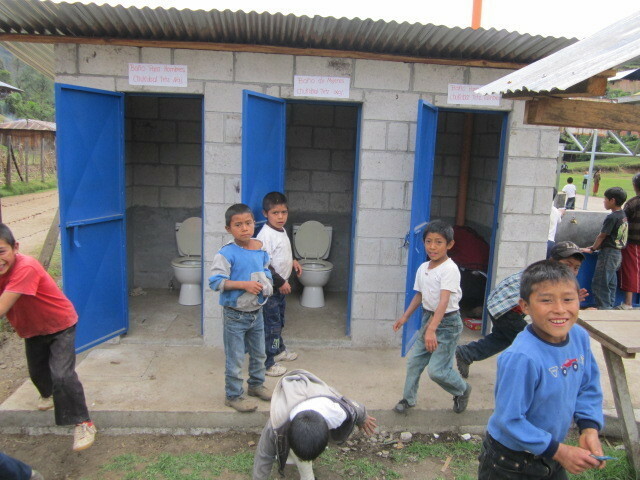 The Ixil Health Clinic project began on the 10th of December 2012 in the three clinics funded by Peer Water Exchange. 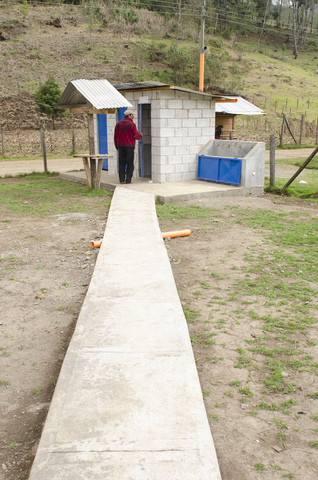 The villagers had dug the pits the prior week for the construction of the septic tanks in each clinic and the Agua Para La Salud masons began construction on the 10th. 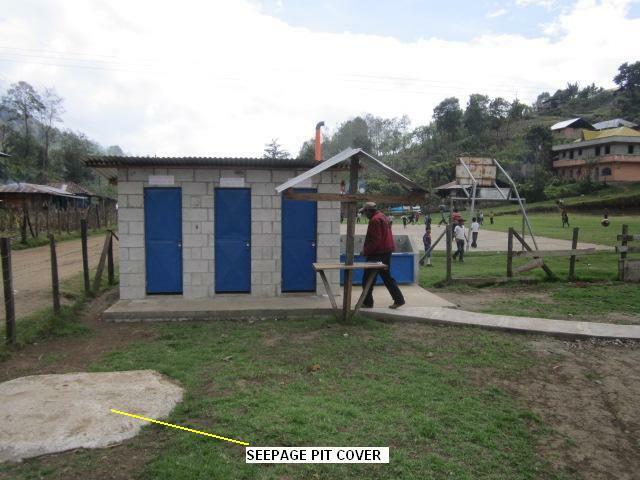 The climate is improving starting into the dry season so the project should be finished in January 2012 ahead of schedule. 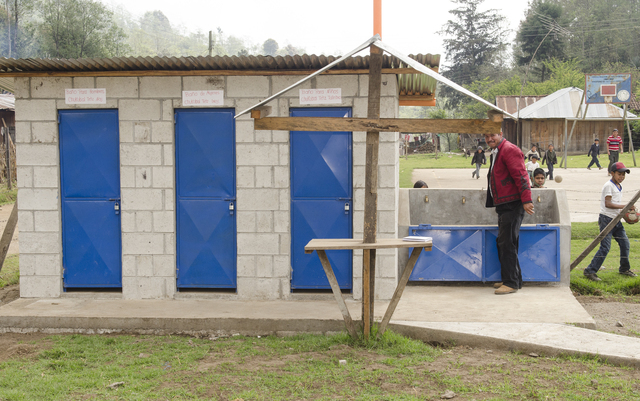 Since the project was proposed the Health Ministry and an NGO have built new clinics in Vipecbalam and Tujolom.